Nyangatjatjara College is an Anangu College in Central Australia. It provides secondary education across three remote communities and primary education in one (Docker River). 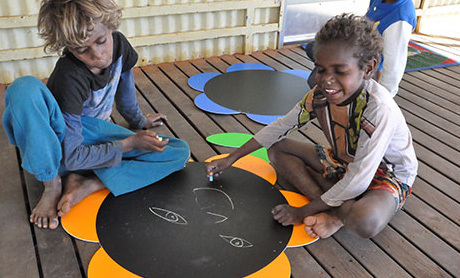 All of its students are Anangu and almost all speak Pitjantjatjara as their first language. It is the only secondary education provider in the Northern Territory south of Alice Springs. Nyangatjatjara College was established by Nyangatjatjara Aboriginal Corporation in 1997. In the first five years of its life, the college grew from one building to multiple temporary buildings at four campuses based in the communities it serves. It originally started as an Independent secondary school to facilitate secondary students studying on their own country instead of boarding elsewhere. 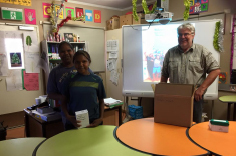 In 2015, at the request of the Northern Territory Government, Nyangatjatjara College also took over Docker River Primary School. How has the transition been for Docker River going from public to Independent school? We did a lot of consultation with the community beforehand about what they wanted to see in the primary school once we took it over. The things that they were really keen on were they wanted to have a school council, they wanted more teaching of culture, and they wanted to see things that were important to them like bush trips in particular. They a lso wanted to see a reduction in teasing, and they wanted to see teachers show respect to kids. In essence, they wanted their primary school to be like the high school. I think our board is probably one of our greatest strengths. All of the Anangu directors are Pitjantjatjara speakers, and for most of them English is their fourth language. Before I started here, meetings tended to be dominated by English speaking bureaucrats from Canberra and from Darwin. Now we’ve introduced an interpreter to meetings, and have things in language so that people who have to make quite complex decisions know what it is they’re making decisions about. That’s been really positive. The other real positive I think was smashing a few stereotypes of people and kids in remote communities. We did a student survey a couple of years ago that focused on career aspirations. Much to the surprise of some people, all of our kids want to have jobs. They want to be able to work in the school, to work in childcare, to work for the council. And they want to be able to work in their community, not have to travel to Alice Springs or somewhere. I think the biggest challenge is the distance between campuses. Our school stretches 200 kilometres to the east of the central campus in Yulara to the Imanpa campus, and 300 kilometres to the west to Docker River. Although I love driving, it does present some real challenges in terms of managing people, getting things done, and hoping you don’t get too many punctures! I suppose one of the big misconceptions is that they’re all rich. We’re a non fee-paying Independent school. We’re probably one of the poorest schools in the country. Most of our parents are not employed. Independent schools don’t just service the big end of town. 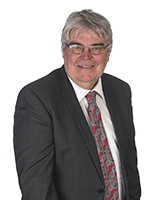 I think what we’ll find is the takeover of Docker River Primary will be quite successful. It will become just part of our normal business. Our kids traditionally don’t finish school and haven’t until the last two years really tackled any of the year 11 and 12 subjects. One of the successes we’ve had is working with government schools on the other side of the West Australian border and in the APY lands in South Australia because they’re all Pitjantjatjara people. We’ve worked with MindMatters to develop some year 11 and 12 units, and we’ve had some kids complete them. That’s a big success, I think. I’d really like to take our kids overseas. Some of our Anangu Education Workers have taken part in AISNT study tours to Hong Kong and New Mexico, and this has been great for the school and for them as individuals. We have some long-standing sister school relationships with Independent schools in Queensland and Victoria, and a Catholic boys school in Sydney, and those relationships are great for our kids’ growth. But I’d love to be able to take our kids all over the world because there’s so much more to see, and a lot that they can contribute to people in other places.